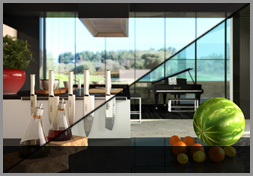 Infography 3D animation - Realistic-design, 3D and Web Design, Mallorca, Spain. An animated presentation catch the eye easier than a still image. In an animation, you choose what you want to show and its sequencial order. The movement plays a capital role in the space perception. Present the evolution of a project in space and time. A 3D animation allow to describe precisely the evolution of the different steps of a project and its implementation on the site. So you can reassure and convince decision makers on the feasibility of their project. only an animation can show dynamicaly the evolution of the project in space and time. At the era of high definition, Realistic-design offers you the possibility to present your projects in HD (720p) and full HD (1080p), and so insure the perenity of you investment for the year to come. 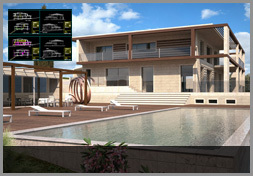 The level of details of our 3D visualizations is intact is our animations. 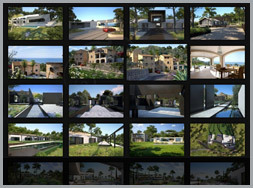 To present your projects in HD allows you to be sure that each material, each detail, is felt with the most vivid emotion. The HD is not the future, it is now! A 3D animation is a sequence composed of 25 frames per second where each of the frames is actually a perspective. One minute of video is then composed of 1500 images. Even if their size is lower than the high definition perspective ones, such amount of images take time to render. 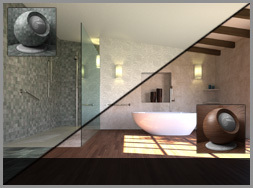 That is why Realistic-design has its own render farm equipped with latest generation computers to render your perspectives and animations. However, if your deadlines are too short and we can’t finish in time, we work with Render Farm Companies who can lower the render time drastically. Later, sequences are edited and presented on DVD, adobe flash video on your website, or high definition formats. We say: A picture is worth a thousand words , what about a video?